Sick of winter, we are eager to get down with some spring cleaning! 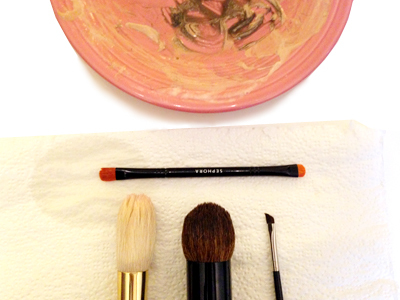 And a long overdue project we decided to tackle first was to clean our makeup brushes. On your plate, mix equal parts olive oil and dish soap. 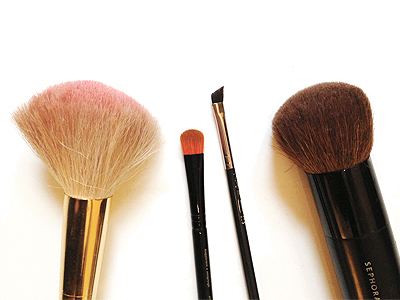 Take your brush, and mush it all together. 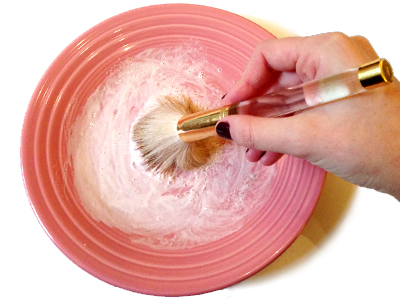 The soap should start to foam, and begin to take on the color of whatever gunk was staining your brush. Take your brushes to the sink, and rinse them well so that no soap remains. As Zorrie points out, be careful not to wet the part of the brush that is adhered to the handle, or your brush might eventually fall apart. 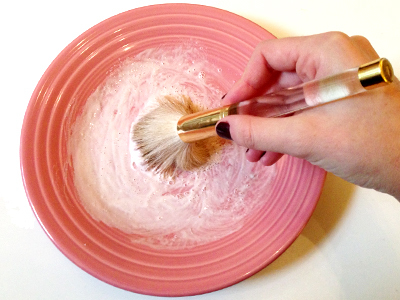 Once well rinsed, reshape the brushes so that they dry in their original shape, and you’re good! May this be the beginning of a new, clean life for your revived brushes. Why do you hide yourself do much. That is a little deceiving and strange. And please don’t say because of God. Why do you hide your photo etc. Who are trying to hide from? And why do you.